For the third year ‘Zeehond op Zuid’ (‘Seal of the South’) is back in Rotterdam South! 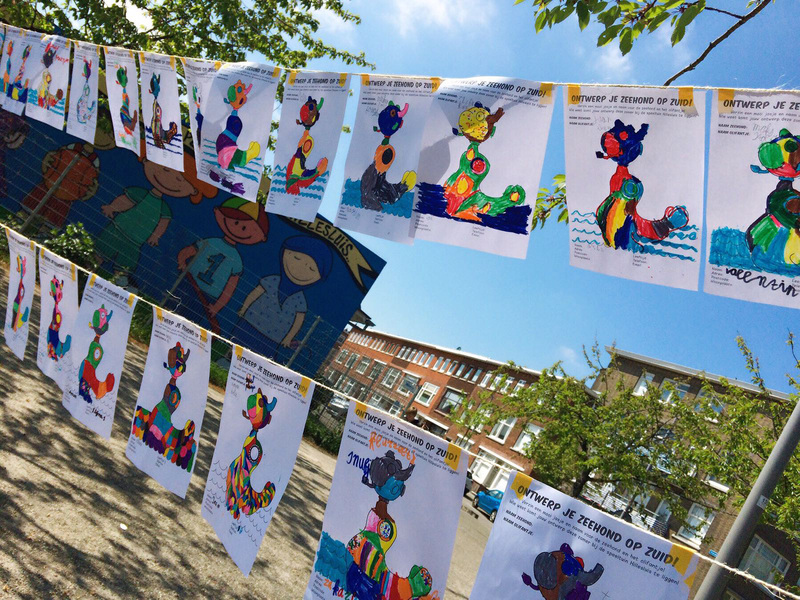 Together with the children of the elementary School Bogermanschool, we re-designed the new summer outfit for the giant Seal. 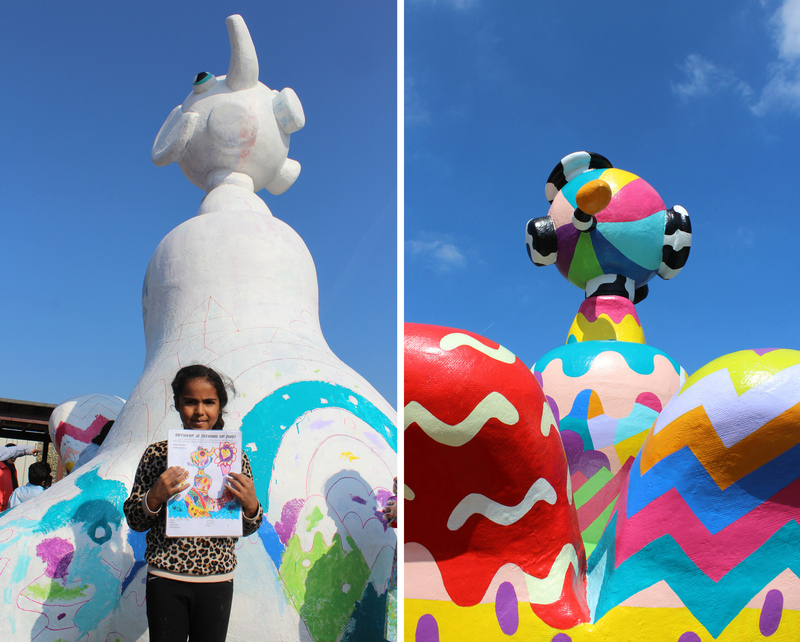 This year winner is the talented 7-year-old Sannah with her fantastic cheerful design full of hidden creatures and landscape patterns. It was a big challenge for us to work out the final design, but it turned out to be a very imaginary fantasy outfit for the Seal and its little friend. 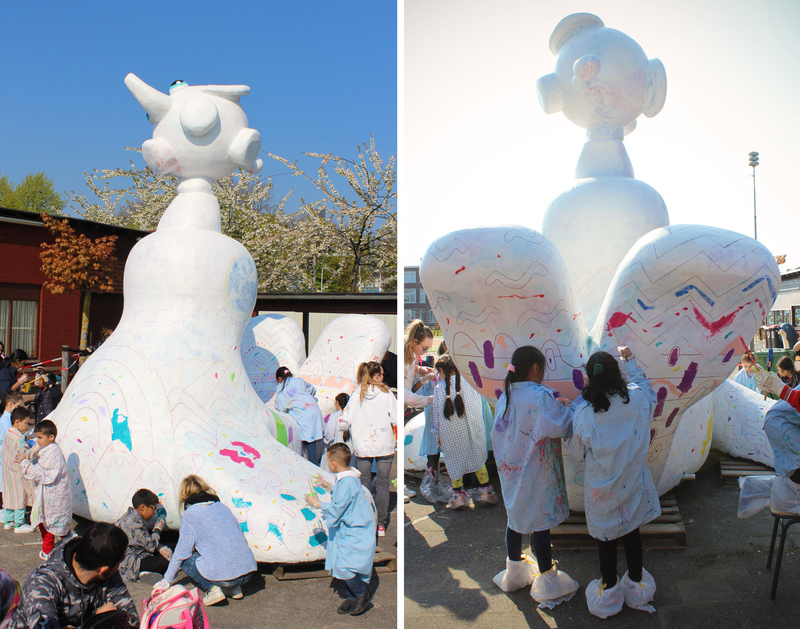 As part of the design workshop, Sannah, her classmates and children of the playground had the chance to paint the first colors on the Seal before it hits the water on the 10th of May. 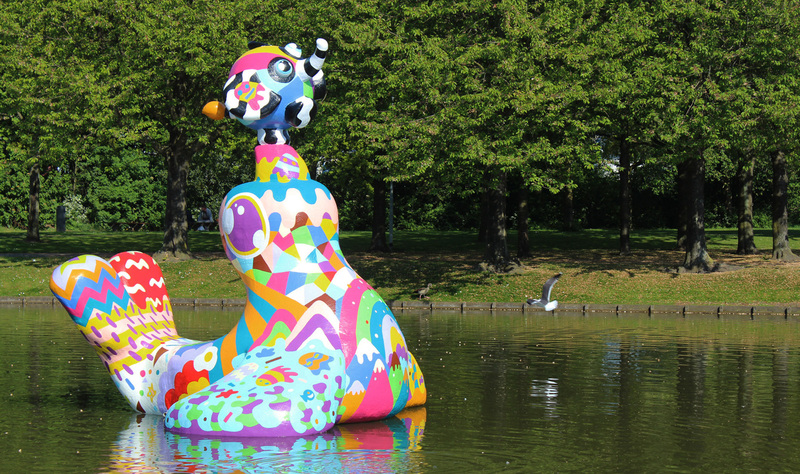 The Seal and it’s balancing little Elephant friend can be visited in the public Varkenoordsepark until November 2017.